Bilt Racing offers complete race preparation, track support, and fabrication as well as service for all models. We are also a chassis shop and manufacturer of custom products and solutions for the Porsche aftermarket and road race community. BRS is an LN Engineering Preferred Installer and an IMS Solution Certified Installer. BRS is conveniently located in LN Engineering’s newly renovated building in Momence, IL – one hour south of Chicago. A partnership with LN Engineering helps us expand into new markets and offer race-proven track and HPDE performance solutions for current and future models, and continue to provide industry leading products, service, and support for our loyal customers. 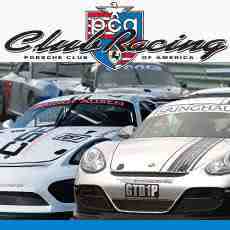 Bilt Racing Service is a national sponsor of Porsche Club of America Club Racing and Porsche Owners Club Racing. As a development partner, Bilt Racing Service together with LN Engineering offers track proven solutions that both improve the performance and reliability on track of our vehicles like our deep sump kits and low temperature thermostats for M96/M97 and 9A1 engines. Please choose a sub-category to browse available products from Bilt Racing Service, exclusively from LN Engineering.